HOLLYWOOD, California -- Could James Franco and Seth Rogen start a war? Until yesterday, that notion seemed absurd. But now, Kim Jong-un, the supreme leader of North Korea, has promised 'merciless' retribution if Columbia Pictures releases the film The Interview, which stars both Franco and Rogen. In a nutshell, The Interview is a comedy in which the two superstar's characters team up in order to assassinate Kim Jong-un. After realizing that the press are given unparalleled access to international dignitaries during media ops and conferences, the two plan to murder the North Korean leader during an interview. Admittedly, the nature of the movie is combative, and should be expected to draw criticism, especially from the real-life man who is caricatured and assassinated in the film. But, is the movie an "act of war," as Kim Jong-un alleges? Few think so. But for years, North Korea has inflated their international ego with empty [yet still terrifying] threats. In March 2013, Kim Jong-un warned that he would attack parts of South Korea using nuclear weaponry which he did not yet possess. Since then, Kim Jong-un has proudly planned nuclear attacks on Los Angeles and Washington, D.C.
Obviously, the film is controversial, even to many who do not sympathize with Kim Jong-un or his agenda. To me, The Interview is a more inflammatory version of Team America World Police, which featured marionette characters, including a crew of American special forces who penetrate North Korea in order to foil Kim Jong-il's fictitious attacks against America. A main difference between The Interview and its predecessor are that the new movie stars a Kim Jong-un lookalike, which is more provocative than a war between puppets. And also, the fictional plot in Team America is actually true-to-life today, where Kim Jong-un promises war against those who oppose or disrespect him, even Hollywood creatives. Essentially, Kim Jong-un is playing a dangerous game of chicken with Columbia Pictures, which is almost certainly a lose-lose proposition for North Korea. Either Kim Jong-un engages the United States government in so-called catastrophic attacks, or Kim Jong-un will publicly undermine his brawny remarks with failure to follow through. Inaction, following such severe threats, will certainly show the limitations of Kim Jong-un, no matter his Herculean confidence. Both outcomes will augment doubts about Kim Jong-un's executive rationale and international image. While I understand how the movie can be incendiary to a North Korea audience, I feel that making a movie, a piece of art, about assassinating a world leader is far less offensive than a national government guaranteeing nuclear warfare against the people of the world. Kim Jong-un has little room with which to point fingers, especially in terms of needless threats against oppositional nations. It is unlikely that Columbia Pictures will withhold the release of The Interview. After all, the First Amendment protects free speech and those who practice it. But as human beings, I believe we should be promoting love and peace more than division and homicide, especially in the art we produce. Time is constantly changing. Fashion trends die down and recreate themselves, electronics get more and more sophisticated, and murderers become celebrities! And yes, you read that right; murderers become celebrities. Rumors have been circulating, and confirmed, that George Zimmerman has been considered for the Celebrity Boxing match, by promoter, Damon Feldman. According to the Huffington Post, “Zimmerman wants to get in the boxing ring with celebrity rapper, Kanye West because of the rapper’s alleged altercations with ‘defenseless people’”; and by defenseless people, Zimmerman is referring to the paparazzi and a “fan” that screamed the n-word at Kim Kardashian, West’s finacee. Note, the “defenseless people” chose to partake in their actions. If those are Zimmerman’s examples of defenseless people, Kanye can be labeled the same. Although it has been stated that it has been confirmed Zimmerman would like to participate in the celebrity showdown, these accusations have to make you wonder if this is true or not. 1. Viewers would be financially supporting Zimmerman, “the man who murdered Trayvon Martin”. 2. Viewers would be guaranteed to see Zimmerman’s face “until the end of time”; stating he would get another boxing match deal post the fight with Kanye West, creating exposure and leading to a reality show. 3. Repeats reason number one. 5. Repeats reason number one and three. 6. The boxing match will change nothing and bring no justice. 7. Repeats reason numbers one, three, and five. 9. Repeats reasons number one, three, five, and seven. Cole closes out her post pleading with her readers to not watch this boxing match. She explains how viewers will be glorifying a man that got away with murder, and her greatest wishes were for him to be alone in this world while Trayvon Martin is in his grave. It is shameful that George Zimmerman, the man who was found innocent in the most controversial trial of 2013, murdering 17-year old Trayvon Martin, whom was only armed with a bag of Skittles candy and Arizona Iced Tea, would even be considered for anything within the public’s eye. According to The Huffington Post, Damon Feldman stated, “All these rappers out here saying that they want to fight [Zimmerman]… So we’ll see who comes on board”; As if the trial was a game for Zimmerman, and he now can have fun with the outcome. How fun will it be to get in the ring with the murderer of a teen? How can the judicial system even allow such a high profile client to do something this public and drastic? There are so many questions that come to mind when reading such an article and finding out there is even a possibility Zimmerman could hold the title of a celebrity. However, it appears that Americans have not lost all sense of decorum, and as of seven hours ago, BET and The Huffington Post among other news outlets have reported the the boxing match scheduled between DMX and Zimmerman has been cancelled following an anemic apology by Feldman in which he caveats his decision by stating "though it meant a lot of money for me, people's feelings meant more to me." Usually the first thing out of person's mouth is a true barometer of their innermost thoughts, and thus we can deduce that Travyon Martin and his family was less important to him than the money he was losing by having the cancel the match. MIAMI, Florida - Thursday morning, globally recognized teen pop star, Justin Bieber was arrested in Miami, Florida, stated CNN. According to police reports, Beiber was charged with driving under the influence, drag racing, and resisting arrest. Since the arrest, the media has labeled Bieber as a “misguided” teen. Last week after a football game between the Seattle Seahawks and San Francisco 49ers, the media threw out mixed feelings regarding statements made between Seahawks' cornerback, Richard Sherman and 49ers' receiver, Michael Crabtree. According to reports, Sherman successfully completed the “play of the season.” Sherman tipped off a pass intended for Crabtree, allowing his team mate to intercept the ball, and sending the Seahawks to this year’s Super Bowl. After being overjoyed from the play, Sherman attempts to shake Crabtree’s hand, but Crabtree pushes him away by his face mask. Whether Sherman was being sincere or passive aggressive is up to the viewer, however, it doesn’t stop there. During an interview after the game, Sherman stated “I’m the best cornerback in the game. When you try me with a sorry receiver like Crabtree, that’s the result you going to get,” says ESPN. Only days later, Bieber was arrested for his reckless behavior in Miami. Reports read that Bieber was simply a misguided teen, but when it came to Sherman, he was labeled a “thug.” Facts show Sherman, who is an All-Pro cornerback, graduated from Stanford with a 3.9 GPA. He has no criminal record, but simply called himself the best at what he does professionally. Bieber is an international pop star, who did not graduate from high school. He has been caught in malicious acts and is constantly in the news. Bieber was arrested for a DUI, despite the fact that he is not of legal drinking age, plus he resisted arrest. Society wants to throw out modern racism, but when situations like these surface, we are still able to see where it exists. Sherman, who is African-American did not deserve to be called a thug. It tarnished his professionalism, and diminished him as a man and an athlete. Although, Bieber's treatment by the media hasn't been positive either, being labeled as a “misguided kid” leaves room for improvement and does not alter the perception of the public that he was just being 'mischievous' versus criminal. By contrast, Sherman, who has not perpetrated any crime, and was simply participating in his profession and leading his team to the Super Bowl, is labeled a thug. Most thugs typically have some criminal record. Sherman does not have a criminal record, but Bieber does. Most thugs also neglect to finish school, which Bieber has also done. The labels accorded by the media to these two are misleading, and thus illustrate the further misadventures of race in American media. LOUISIANA, United States - Controversy began to stir this week when “Duck Dynasty” star, Phil Robertson made anti-gay remarks during a GQ interview. Another statement has been released from the controversial interview; this time, the star addresses the black community during the pre-civil rights era. 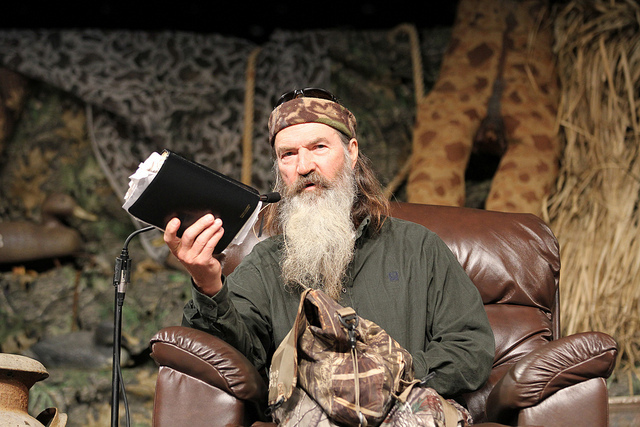 On the show, Phil Robertson, 67, is portrayed as the “Duck Dynasty” patriarch. Over the years he’s beat substance abuse, devoted his like the God, and has become a small-screen celebrity from the backwoods of Louisiana. During a GQ interview with Drew Magary, the star stated “…the pre-civil rights era was not bad for black people”. GQ quoted Robertson, stating “I never, with my eyes, saw the mistreatment of any black person… Not once. Where we lived was all farmers. The blacks worked for the farmers. I hoed cotton with them. According to Robertson, the African-American’s he witnessed before the civil rights movements of the 1950’s appeared happier than they do today. 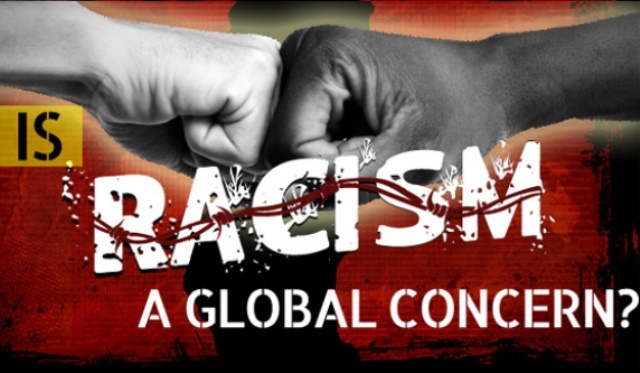 The Huffington Post states, “Jim Crow laws enforced a system of subjugating African-Americans in the South but upholding racial barriers for years after the Emancipation Proclamation”. During this time, the Southern states were known for segregation and the many forms of oppression, which often included “race-inspired violence”, according to History.com notes. During the GQ interview, Robertson referred to homosexuality as a sin and continued to speak about the sexuality right in a negative light. After making headlines, A&E announced Robertson would be suspended from the show indefinitely. According to the Huffington Post, “The network emphasized that his beliefs are in contrast to those of the network”. Although times were very different during the pre-civil rights era, it is hard to believe Robertson thought blacks were happy, and he never witnessed the mistreatment of an African-American, whether verbal or physical. Louisiana, a Southern state known for many violent act during this time, still faces race issues today; even hosting several active Ku Klux Klan groups throughout the state of Alabama. Broadcast stations are constantly faced with the embarrassment of their stars speaking out about their offensive experiences with African-Americans. Paula Deen, southern celebrity chef, was booted from the Food Network earlier this year, due to her use of the “N” word. CBS fired Don Imus, host of Imus in the Morning, in 2007, for his racial remarks toward the Rutgers women’s basketball team; calling them “nappy headed hoes”. Although the Dynasty star was brought up during a time where homosexuality was not accepted, especial living in the South, it is imperative for these networks to make it clear to the small-screen stars, that these types of situations and statements are unaccepted and intolerable.